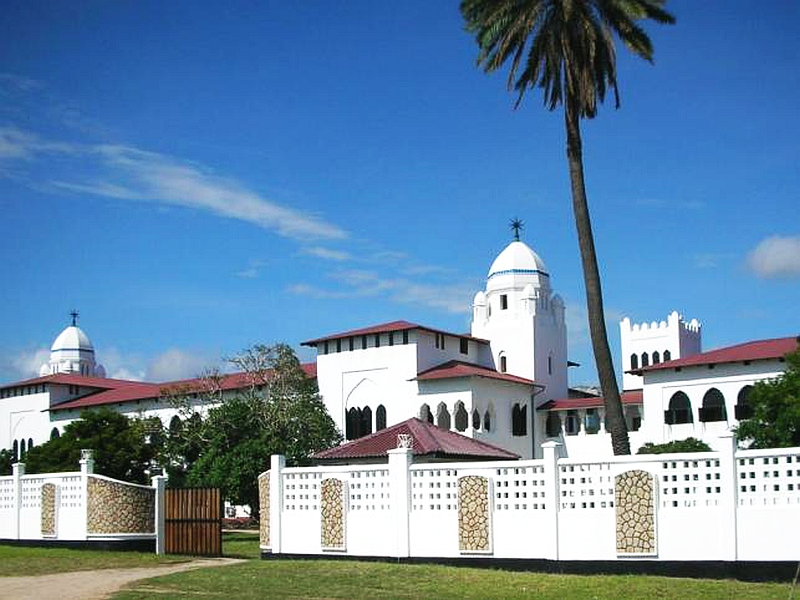 To create a formal relationship to acknowledge and assist the partnership between Our Lady’s Children’s Hospital Crumlin (OLCHC) and the National Children’s Cancer Service in Dar es Salaam. To positively impact childhood cancer survival and service delivery initially and ultimately all aspects of childhood health care delivery at Muhimbili National Hospital. To assist in creating a clinical and educational centre of excellence for general paediatrics and sub-specialities in paediatrics in Dar es Salaam Tanzania. It is understood that this relationship with OLCHC should be a long lasting one, and that the relationship dynamic and goals will change over time. Dr Trish Scanlan is an Irish Paediatric oncologist trained at OLCHC. She first visited the Children’s Cancer Programme, then housed in the Ocean Road Cancer Institute (ORCI) as part of a Master’s programme in 2006. She conducted a needs assessment and SWOT analysis and also looked at the outcomes of the children attending ORCI for 2005. The long term survival of the children attending the ORCI was less than 20% and throughout the country as a whole was estimated to be less than 5%. The study was written up as a Master’s thesis and is available for review on request. She returned to Tanzania a year later, in August 2007, to work to strengthen the paediatric oncology service. The service has been strengthened in many additional ways over the last 7-8 years. In 2006, treatment for only one condition was provided free of charge to all patients, now all treatment is free for all children with cancer. In 2011 the paediatric oncology service was moved from ORCI to the nearby Muhimbili National University Hospital. Children’s cancer services are now embedded in the largest children’s cancer facility in Tanzania. In 2011 a parents association was initiated to assist the families called ‘Tumaini la Maisha‘ – Hope for Life. In 2013 a home away from home facility with 22 beds, 2 classrooms, a kitchen, and a skills and income generation room for the families of patients was opened. It is on the site of the hospital but far enough away that families feel the relief of leaving the ward when they are well enough to do so. 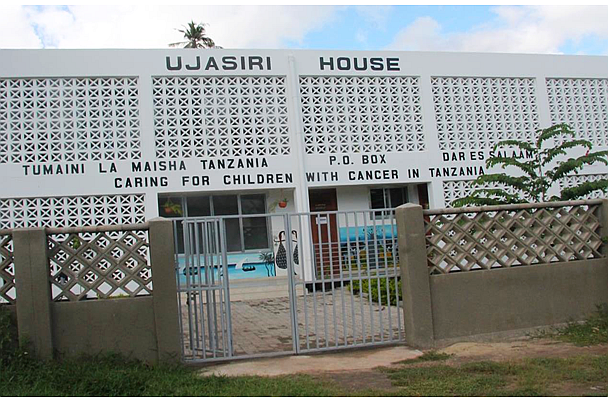 The Ujasiri House accommodates children and families who are receiving cancer treatment at Muhimbili National Hospital. In August 2013 the custom built paediatric oncology ward was opened. This has dramatically improved the care provided to the children as isolation facilities, piped oxygen, space for procedures and chemotherapy preparation rooms are now available. In September 2013 the first candidates for the paediatric haematology/oncology Master’s programme were enrolled in the local University (Muhimbili University of Health and Allied Sciences MUHAS). This course was designed and run by Dr Trish Scanlan. The pathology department at OLCHC receives and reports on a number of Tanzanian children’s cancer samples every week (facilitated by DHL who ship the samples free of charge). CT/MRI scans are regularly sent to the radiology team for rapid review –which is always provided. The Advanced Paediatric Life Support (APLS) team has been to MNH for two consecutive years and have trained doctors and nurses in Basic Life Support (BLS) and APLS. OLCHC have made multiple surgical visits to MNH and worked along side the local specialists and trainees, sharing knowledge and expertise and ultimately saving lives. Most recently, a 20 foot container is currently sailing from OLHCH to the Dar es Salaam port full of good quality equipment recently decommissioned from service at OLCHC. The Tanzanian Ministry of Health and the MNH Management are fully supportive of this partnership and facilitated these changes. MUHAS is housing the Master’s programme and assisting with all aspects of the training involved. Both the hospital and the University management are interested in developing this twinning programme with OLCHC – an organisation that is so heavily embedded in the children’s cancer service that the next logical step is to expand and formalise the relationship to other departments within the children’s service at MNH. Our Lady’s Children’s Hospital, Crumlin is Ireland’s largest acute paediatric teaching hospital employing over 1600 staff. It provides evidence based quaternary, tertiary and secondary quality care to children & adolescents in a safe environment driven by knowledge through education & research. In 2012 the hospital had 34,699 emergency attendances, 17,501 day cases, 10,278 in patient admissions and performed 10,151 surgical procedures. Our Lady’s Children’s Hospital, Crumlin is the national centre in Ireland for a range of national specialities including children’s childhood cancers and blood disorders, cardiac diseases, major burns, cystic fibrosis and rheumatology. The services provided are underpinned by a commitment to medical and nurse education and the development of the skills of staff generally. The hospital is also involved in the teaching of medical personnel. Undergraduate students from University College Dublin, The Royal College of Surgeons in Ireland and Trinity College Dublin receive training in Paediatrics at Our Lady’s Hospital. Research is a fundamental component of all paediatric disciplines and the provision of a specialised research facility is recognised as an integral part of a modern comprehensive children’s hospital. The National Children’s Research Centre at this hospital provides well equipped laboratory facilities for the investigation of the biological basis of childhood disease and has made significant progress in the development of a Clinical Research Programme. The partnership was formally recognised as a full ESTHER Ireland Partnership in October 2015. Through the extension of paediatric care units and building up oncology services nationally, the hope is to mediate some of the current challenges that referral networks and systematic delays in treatment present. The partnership is focussed on improving access to resources for children living with cancer in Tanzania. So far, thanks to specialised training of local professionals and access to state-of the-art diagnostic services, long term child cancer survival rates have increased to 50%, from less than 5%, in just over ten years. These are just some of the stemming reciprocal collaborations that ESTHER Ireland is proud to support. To read more about the partnership’s recent developments, we invite you to read this interview with Dr. Scanlan. The article highlights the extent of dedication and collaboration from a variety of partners and individuals, which make all of these achievements possible. In addition to other ESTHER sources, the success of this partnership was also highlighted in the 2015 annual print version of the Dochas World’s Best News.